Thank you for all the supportive comments on my lacking inspiration post about my father in law’s 70th. I’m pleased to say I’ve had far more luck today! I have ended up making 4 cards. I’m still not wowed, but at least they’re done. The top one is probably my favourite, very simple using Kanban Birthday Celebrations foiled card and a Christmas double sided metallic card pack which were both Create and Craft member’s free gifts ages back. 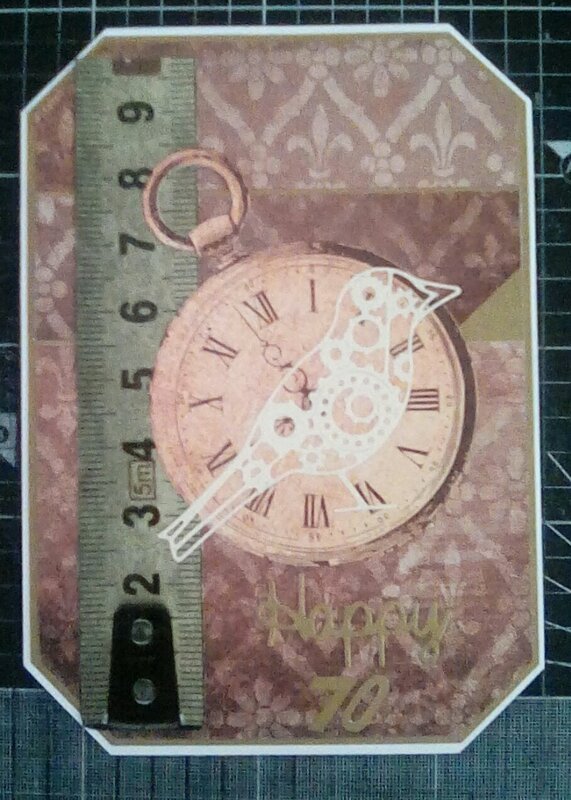 I used a Tattered Lace steampunk bird die as well as a DCWV paper stack and a watch cut from the DoCrafts Chronology kit for the second card. It’s ok, but I am not pleased with the 70 itself, it just refused to work. 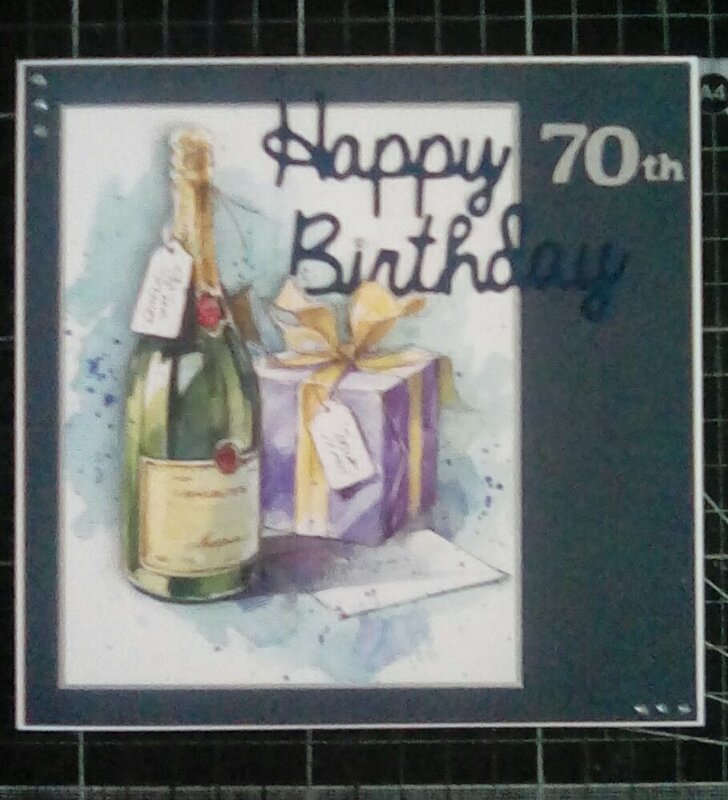 The third card is a Hunkydory Little Book of Everything page decoupaged matted onto the same Christmas double sided metallic card pack as before, then on a plain piece of blue from the same pack, with a Sara’s Signature Collection die and 70th cut from the silver mat using my Scan’N’Cut. 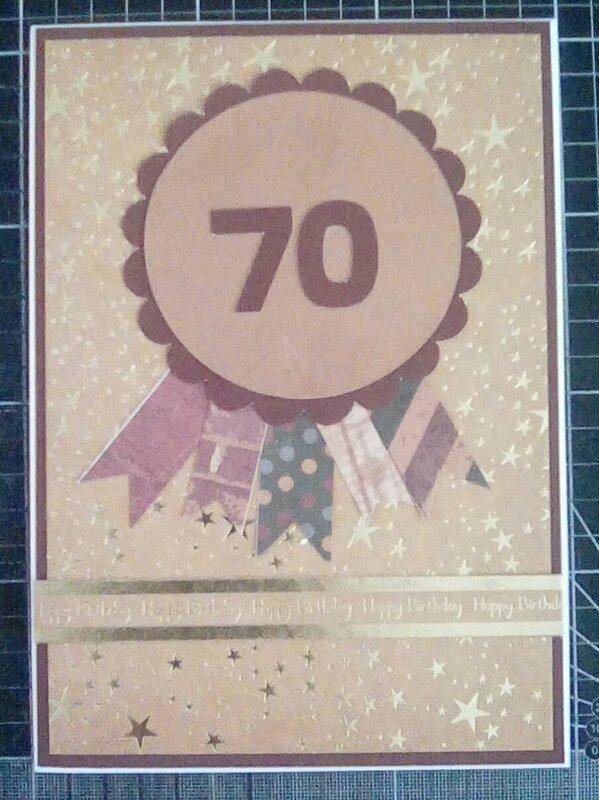 The final card uses the Hunkydory Fantashtique kit which I had forgotten I had (oops, it had never been used! Must have had it around 18 months). I complemented it with a lovely Burgundy from the Christmas double sided metallic card pack and a sheet from my DCWV paper stack. The Moral of this I think is to not keep putting off the important cards! 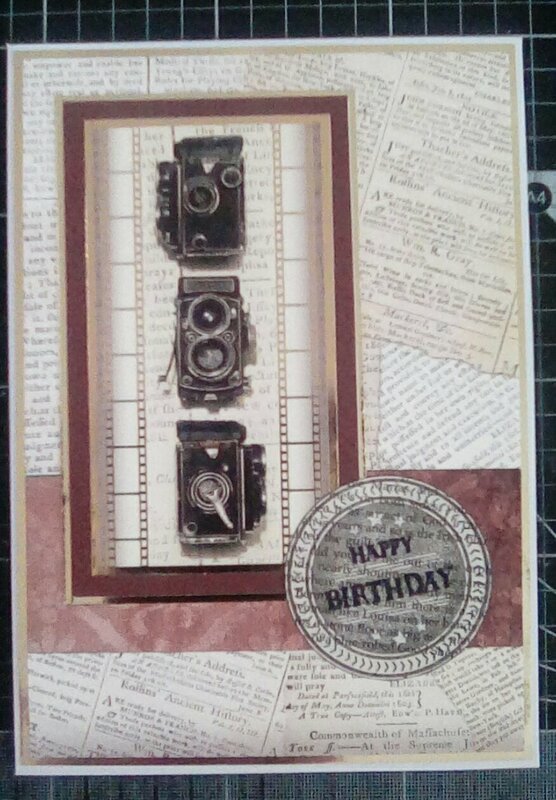 This entry was posted in cards, Male birthday on June 22, 2017 by Isn't She Crafty.